In a move to increase pedestrian safety, all new electric and hybrid vehicles sold in Europe could have to emit a noise when travelling at low speeds from July 2019. About 140,000 electric vehicles are registered in Britain, with the National Grid predicting there could be as many as nine million electric vehicles on the road by 2030. However, there are growing fears that ultra-quiet electric and hybrid cars will become a silent killer. Travelling at low speeds electric vehicles can barely be heard. And this is a great cause for concern - especially to vulnerable road users - according to James White from the Guide Dogs for the Blind Association. The charity's own research shows electric cars are 40 per cent more likely to hit a pedestrian than a traditional vehicle. In 2015, Karl Denning - who is almost completely blind - was hit by the same hybrid car twice near his home in Birmingham. After listening for the tell-tale sounds of approaching cars, Denning stepped off the pavement and was struck by a Toyota Prius. The same vehicle hit him on the same stretch of road just a month later. Chris Hanson-Abbott, a UN adviser on quiet road transport vehicles, believes white noise should be emitted from silent cars are low speeds. White noise - which sounds like rain - is well-suited because the source direction of that sound is instantly clear. 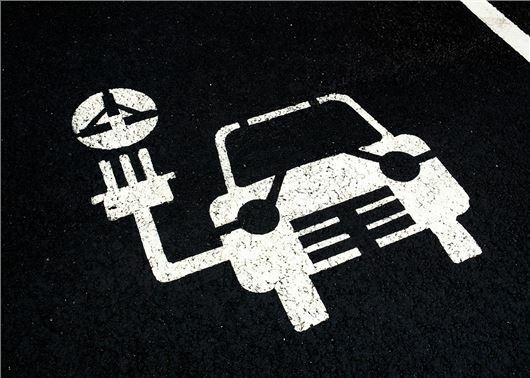 The EU is thought to be putting together plans to introduce compulsory approach sounds for all new electric and plug-in hybrid cars from mid-2019. I had a near miss similar to the quoted story. A Primus sat at the kerbside for a while moved odd after I started to cross. No sound and no indicators used. I managed to step back in time. Many years ago in the 1990’s I attended a Chertered Institute of Environmental Health event at the Peugeot plant at Ryton near Coventry. At this event we were shown a demo of an early electric version of the then most popular Peugeot small car and it was immediately noticeable how quiet it was. It was widely thought amongst the group of EHOs at the event that the quietness would probably lead to in increase in accidents with pedestrians not hearing the cars coming. Why is it that it takes accidents to happen for designers / manufacturers to recognise that problems exist? It strikes me that too many professionals in this world think that they know best when in fact they could learn a lot by listening to professionals in other fields of expertise. Guys who ride bikes have been saying for years that loud pipes save lives. It's good to hear that has finally been recognised as true. The Renault Zoe already has a pedestrian warning sound built in....There are three selectable sounds available. The Nissan Leaf also already has a pedestrian warning sound built in....There are three selectable sounds available also, don’t know about other EV’s or Hybrids. Apparently from about 20MPH road noise takes over. Many new Diesel and Petrol cars are virtually silent when moving off these days. Of course, none of the alarms will work with the pedestrians and cyclists who wander across the road, ear plugs in as they are talking on their phones. I don't know how many near-misses I've had with them. Some locations are worse than others but at least you learn to watch out while driving through them. Recently one pedestrian, a young mum pushing a buggy, phone to her ear while smoking a fag at the same time. Without looking, she pushed the buggy straight off the pavement in front of my car. I probably lost a few mm in tyre depth avoiding that near miss, lucky my hair is already grey. It strikes me that this Karl Denning guy should not be out on his own if he is that blind or he should have a guide dog. Did he have a white stick to give the hybrid driver an indication he was blind, if not then the hybrid driver is just as much to blame for not paying attention. He's just as likely to get knocked down by a cyclist as he is by a hybrid or EV, are cyclist going to have noise makers on their bikes too. I am always watching pedestrians, especially when they're standing near the edge of the road where I expect they may suddenly cross and drive accordingly. This Birmingham incident, if it's true, sounds too much like a crash for cash situation to me. As a driver of a hybrid car, I'm alot more aware of pedestrian behaviour, and generally on high alert when I see a potential situation that my car hasn't been clocked by pedestrians because of the quietness...... but still, common sense should always be used by both parties.....after all it's not just the listening that's important when crossing the road, but also the looking. Hopefully we can tell who the vulnerable people are. I enquired about an add-on when I bought a hybrid in 2014, but there was nothing then known to Toyota or my dealer. I asked HJ after buying another three years later, and was informed that the industry could not agree on a solution!